If you are thinking about starting or growing your family there are a few things you should add to your list of things to do to plan for a healthy pregnancy. Your lifestyle and nutrition are the main factors that need to be considered. Here we’ve listed 10 for you to cross off. 1. You should talk to your GP when you decide to start or grow your family so that you can address anything that can be fixed prior to conception such as low iron, low vitamin D or the like. 2. Maintaining a healthy weight is important for your ability to conceive; your doctor or pharmacist can help you find healthy ways to manage your weight. 3. If you smoke or drink alcohol you should consider quitting both especially during conception, pregnancy and whilst you are breastfeeding your baby. The same goes for men trying to help conceive as cutting out smoking and excessive alcohol consumption will promote and maintain healthier sperm. 4. Reduce your stress levels by ensuring time out for yourself to relax. 5. Exercise should become a habit, even if you go for a big half to one hour walk everyday – this is setting you and your family up for an active lifestyle together. 6. While you are pregnant the recommend caffeine intake is 200mg per day (this might only be one cup!) so you should try and cut down on caffeine beverages as you prepare for conception. Being morning-sick AND dealing with caffeine withdrawal is not a lot of fun. 7. A well-balanced and varied diet full of fresh fruit and vegetables should be a number one priority. Folate is a B group vitamin found naturally in food such as legumes and green leafy vegetables. Taking folic acid daily before and during pregnancy significantly reduces the risk of neural tube defects such as spina bifida in your baby. 8. Start taking a pregnancy multivitamin to help build up the essential nutrients required and to help cover the needs of both the mother and baby. You should start taking this at least one month prior to falling pregnant.A multivitamin specifically containing folic acid helps to provide the best health outcomes for your baby’s development. Men can also take a multivitamin to help support conception through good sperm health, in addition to adopting a healthier lifestyle until the pregnancy is confirmed. 9. Prior to pregnancy visit your dentist for a check up to ensure your teeth and gums are in good health. You may prefer not to have an Xray while pregnant, so try and do this before you conceive. Once pregnancy is confirmed make sure your dentist knows before commencing any treatment. Also make sure any other health professionals providing care know that you are pregnant -sometimes it won’t be obvious, especially early on! 10. 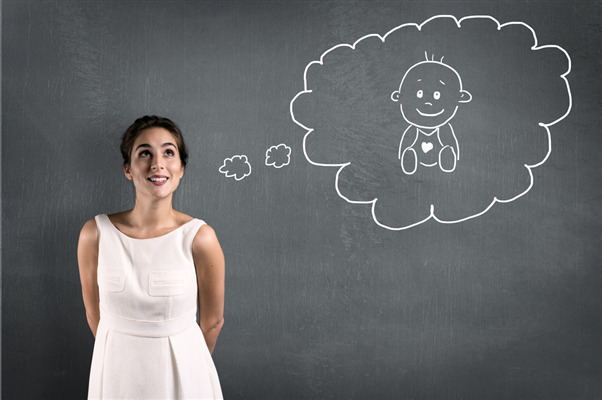 Check your maternity leave options with your current employer and make sure you understand the rights and obligations of both parties. Also review your entitlement to Paid Parental Leave - this requires some planning and the inevitable government paperwork! Lastly, good luck or congratulations! Our friendly team at Capital Chemist are on hand to chat to you about the best pre-, during and post-pregnancy and breastfeeding multivitamins.